It was a disaster. Six free-range, organic chickens, reared by an ethically sound producer in the California sunshine had been overcooked. It felt disrespectful. These small birds had given up their relatively contented lives to feed us and we, I, had roasted them to a state that was so parched, the breast meat was difficult to swallow. They had been intended to feed twenty people for a family reunion, in a menu lovingly considered and prepared by my favourite aunt. 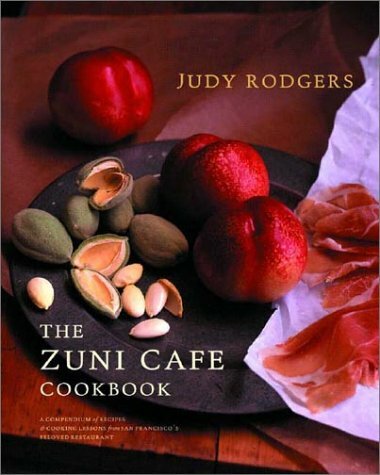 A well-worn copy of the Zuni Café Cookbook by Judy Rodgers had been bookmarked and it was my responsibility to roast them. Rodgers died in December of cancer. I’d like to say that my historical food knowledge is so that I had actually heard of her that sunny weekend in October. But I hadn’t. Aside from the Zuni Café often being mentioned in the same sentence as Chez Panisse when my aunt and I spoke about Bay Area cuisine, I had no idea that she was of the same calibre as Alice Waters when it came to the California Food Revolution in the 1980s. But when the news hit, and her importance to the culinary tradition clicked into place, I realised I had had no clue, as I watched my aunt, mother and sister-in-law brine these birds two months prior, that I was going to be in charge of delivering on Rodgers’ most famous recipe. She outlines three main points to consider when roasting a chicken. First, the size: 1.2-1.5kgs (2 3/4 to 3 1/2lbs) is key. The birds are small and are completely perfect for quick roasting at high heat. 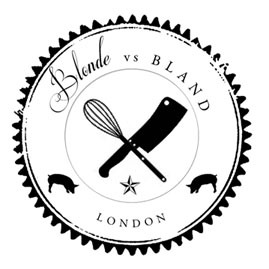 The second is the bird is a fryer, as opposed to a roaster, which tends to be much larger. The littler birds are often used for their parts and are usually overlooked for roasting because of their size. Finally, salting the chicken 24-hours in advance. I’ve always considered brining to be something overly complicated for some reason, and was perhaps a bit intimidated by the idea. But when Rodgers described the process, all of a sudden I understood. The point is to get your food to be “tasty all the way through”. She explains, “…salt helps dissolve some of the proteins within and around the muscle fibres that would otherwise resist chewing…Initially, salt does draw moisture from cells – whence the widely accepted belief that it dries food out. However, the quiet trauma of osmosis is temporary. With time, the cells reabsorb moisture in reverse osmosis. When they do, that moisture is seasoned with salt.” Ah-hah. In the end, I was too generous with our roasting timings, calculated around multiple chickens instead of the one mentioned in the recipe. A different aunt, with a deep-rooted and irrational fear of salmonella, convinced me to allow more time than my instincts told me, and when we took the little golden bodies out of the oven, I knew we’d gone too far. Needless to say, when the party of twenty sat down to eat there was a quiet disappointment in the air. We are a family who likes food. We like to eat it, talk about it, think about it, worry about it, but that evening no one said a word for the first five minutes. The only person to comment was my cousin, my dear aunt’s son. In his quiet and aloof manner, he confirmed the unfortunate truth; the meat was dry and juiceless. It was tragic. She and I both lost sleep over it. Once back in the UK and armed with a photocopy of my aunt’s cookbook, I penitently set about to roast another chicken. I found a beautiful small one from Dugard & Daughters, the lovely butchers in Herne Hill, SW London, and set about salting the little thing 24-hours in advance, studiously reading and rereading Rodgers’ instructions for roasting. My oven is notoriously over ambitious. I have lost battles to it several times over my Thanksgiving and Christmas turkeys, so this time I was going to err on the side of caution. The chicken was seared in a hot cast iron dish on the stovetop, then flipped over and roasted at 250C (475F) for 30 minutes, then back on its bottom at 210C (450F) for another 15. The result was a thing of glory. The brined chicken was juicy, flavourful and succulent. The skin is crispy, salty but not overly so; the meat tasted more of itself, all the way through. Simple, effective, this method is foolproof if you know your bird and you know your oven. With such a late introduction into Judy Rodgers’ style, I can’t help but feel like I’ve arrived at a party an hour after everyone’s left. To become so well known for something as simple as a roast chicken shows a love of technique and an attention to detail that is entirely refreshing. As Alice Waters says, “it is a fundamental fact that no cook, however creative and capable, can produce a dish of quality any higher than that of the ingredients.” Indeed. But respect those ingredients as well. Knowing the best method of preparation is crucial, and yet, that isn’t everything. The learning curve continues, but one thing is for sure: I will never roast another chicken longer than an hour, and I must always listen to my instincts.